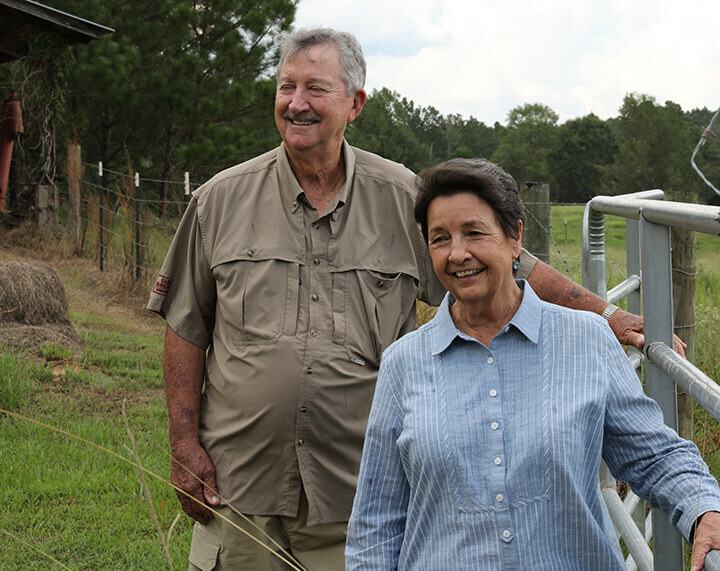 Wholeheartedly committing oneself to a position of volunteer leadership in any organization takes time and dedication, especially for an organization like the Mississippi Farm Bureau Federation who serves more than 192,000 members. But, Reggie Magee did it with a smile on his face for more than 20 years as a token of his appreciation for his fellow farmers and ranchers. Today, instead of cotton patches, Reggie raises cattle and chickens. But looking back, he has realized the more times change, the more farming has been a constant through the years. Reggie admitted he was happy to serve Farm Bureau as a county president and never dreamed he would rise to south Mississippi vice president. His goal was always to represent farmers and farming the best he could. As it turns out, Reggie wasn’t the only one sacrificing as he traveled back and forth to events across the state. In honor of his dedication and hard work over the last two decades, Reggie was honored as the 2018 Distinguished Service award recipient after stepping down from his position as south Mississippi vice president in December. With everything the Magees have been involved in through Farm Bureau, they said they will miss one thing.